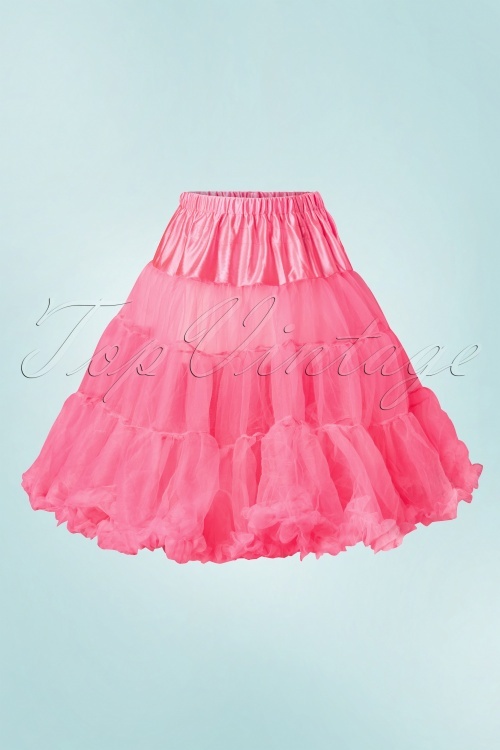 50s retro petticoat Neon Pink from Bunny. Nice soft fluffy fluorescet Pink petticoat. It is brighter then we can show on the pictures! For the extra voluminous rock 'n roll effect, we also offer the original chiffon petticoats from the U.S!